With Washington Post reporter Jason Rezaian about to go on trial in Iran, the newspaper's top editor says it is "simply appalling" that Rezaian is not receiving fair access to a defense attorney. "We call again on Iran to demonstrate its commitment to fairness, justice and to following its own law," Post executive editor Marty Baron said in a statement on Tuesday. "Any fair review of the case against Jason could only result in his exoneration and his immediate release." 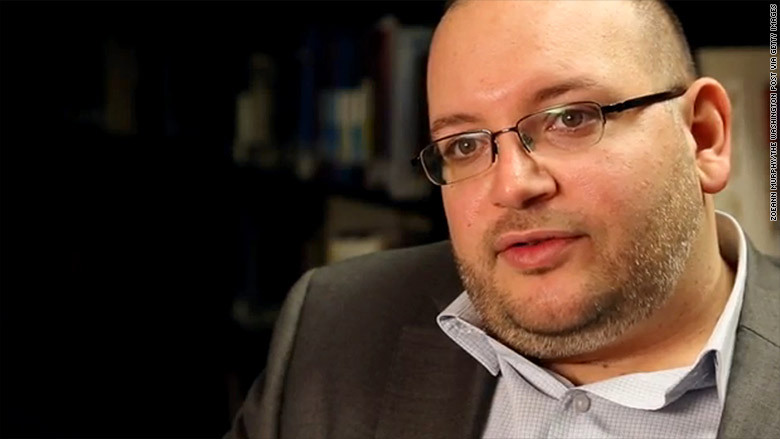 Rezaian, the Post's Tehran correspondent, has been been held behind bars for nearly nine months. The charges against him were not disclosed publicly until last week, when a semiofficial Iranian news agency said he stands accused of espionage -- specifically economic spying -- and "acting against national security." Iranian authorities have offered no evidence for these allegations. The Post called it "absurd," and so did the State Department. "If the reports are true, these charges are absurd, should be immediately dismissed and Jason should be immediately freed so that he can return to his family," a State Department official said. Rezaian's family is expecting him to go on trial soon -- possibly in early May. His brother Ali Rezaian did not respond to a request for comment about the espionage and security allegations. But in a statement on Tuesday, Baron called them "fanciful and implausible" as well as "transparently absurd." Baron said he was speaking out because he said Rezaian's lawyer, Leila Ahsan, had been "misunderstood" when she was quoted over the weekend as saying that "I can see him anytime." In fact, Rezaian does not have sufficient access to legal counsel, Baron said: "Jason has still not held a substantive discussion with Leila. Their only meeting took place several weeks ago in a judge's chambers before Leila had formally been designated as his counsel. They were not permitted to discuss Jason's case or the charges he faces, which still have not been publicly disclosed." While Rezaian and Ahsan are scheduled to meet sometime next week, Rezaian's family is under the impression that the meeting will be "limited to one hour." And that's it -- no other meetings will be allowed. "The idea that Jason — or anyone — could be allowed only one hour with a lawyer before standing trial on serious charges is simply appalling," Baron said.